Bailees insurance coverage is needed by any restoration firm that takes the contents of a property to their shop to clean and store it. The amount of bailee’s insurance you purchase should match the maximum value of the property of others that you have in your shop at any point in time or the amount dictated to you in a contract. We have been answering a lot of questions about bailees insurance lately. Based on the questions and from reading the actual bailees insurance policies provided to us from some of the callers, there appears to be a serious need for some help within the restoration community in this line of insurance coverage. Bailees insurance has the potential to cost more than your General Liability (GL) and Contractors Pollution Liability (CPL) insurance combined. Expensive insurance usually means big risks. There is also the potential to overpay for this insurance, making it worth 30 minutes of your time to get it right. Below is some practical advice on Bailees insurance and how not to throw premium dollars into the wind. 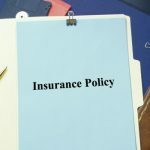 Before I can talk about bailees insurance, it is important to define what a bailment is – and no, it is not in any way related to jail. Basically, a bailment is created when one party (the bailee) takes the property of others (the bailor) into their possession. The bailee then holds the property in a bailment.